Myriad Sensors Inc. is the latest recipient of the Cool Idea! Award, a service grant given to innovative companies by quick-turn manufacturer Proto Labs, Inc. (NYSE:PRLB) . The California-based startup is the creator of the PocketLab device, which uses a wireless sensor and software platform to measure a number of different data fields that are then transmitted back to a computer or smartphone for analysis. The handheld device is relatively inexpensive-$100 compared to others over $1,000-and intuitive for users, making it particularly well-suited for students, teachers and professors working on science projects in need of solid analytical data. “You can attach PocketLab to a model rocket, for example, to measure the launch acceleration and peak altitude. Or take it skiing with you to measure your altitude and acceleration down the slope. Or optimize movement in your next robotics project,” explains the product’s inventor, Clifton Roozeboom. 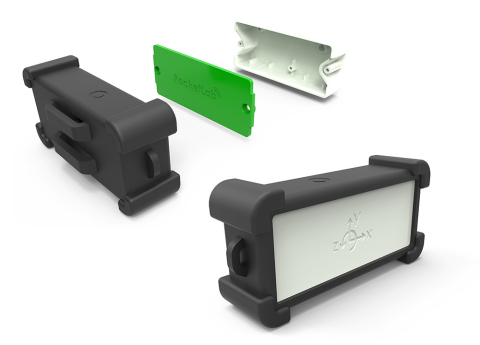 Roozeboom plans to use his grant on injection-molded plastic casings that form the outer shell of the device as well as additional liquid silicone rubber components. The parts will serve an integral role in the protection and durability of end-use devices. After successfully pilot testing PocketLab last year, Myriad Sensors launched its product to market at the start of 2015. “We saw an idea that not only offered a simple way of collecting complex data, but one that would provide great accessibility to educators and young people interested in exploring the world,” says Proto Labs founder Larry Lukis. Since 2011, the Cool Idea! Award has provided more than $750,000 in Proto Labs prototyping and low-volume production services to entrepreneurs developing new products in the United States and Europe. Unlike other product awards that recognize products after they’re in mass production and on store shelves, the Cool Idea! Award is meant to help innovative ideas come to life. For more information about the Cool Idea! Award and to apply, visit protolabs.com/coolidea. Proto Labs is a leading online and technology-enabled quick-turn manufacturer of custom parts for prototyping and short-run production. Proto Labs provides “Real Parts, Really Fast” by utilizing injection molding, computer numerical control (CNC) machining and additive manufacturing to produce parts for product designers and engineers worldwide. For more information, visit protolabs.com. Myriad Sensors was founded by Clifton Roozeboom to develop products like PocketLab, a portable science lab that makes hands-on learning easy and intuitive. PocketLab has received accolades in competitions hosted by Yale and Stanford University, and it most recently captured Proto Labs’ award for innovation. For more information, visit thepocketlab.com.